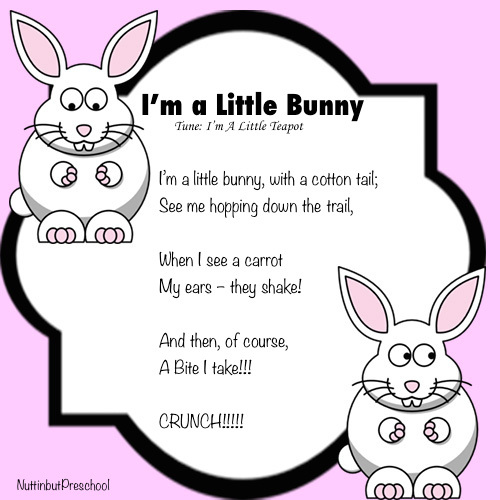 This is my Easter lesson plan theme for preschool children. 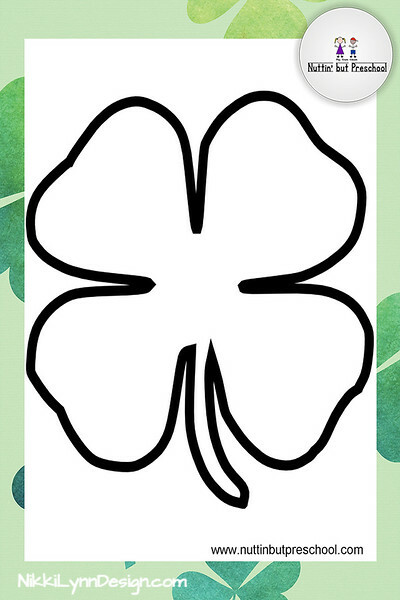 You can use the activities to help plan your weekly activities. 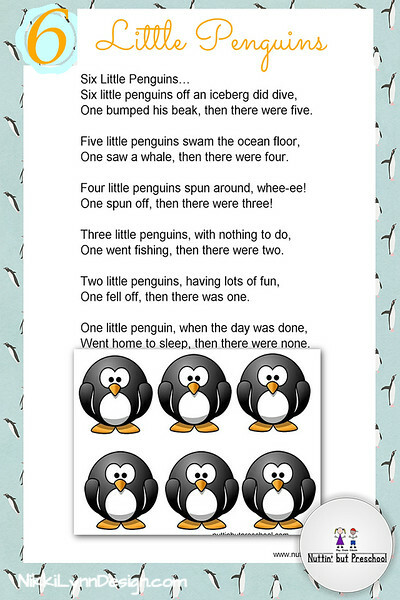 With the songs and fingerplays, it is easy to save the images to a folder on Pinterest, on a computer, phone or iPad. 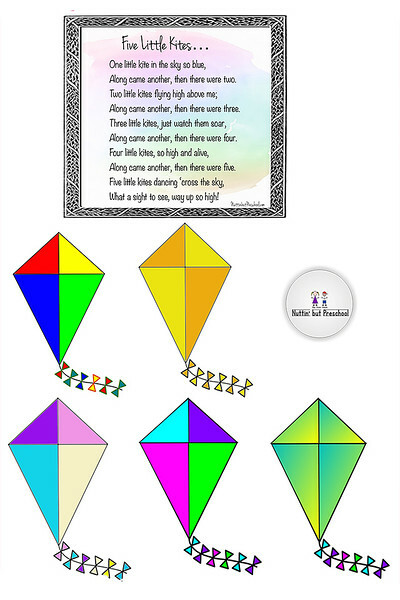 Bring up the image folder at any time to have them handy to sing and act out with your kids at a moments notice. Divide the children into two teams. 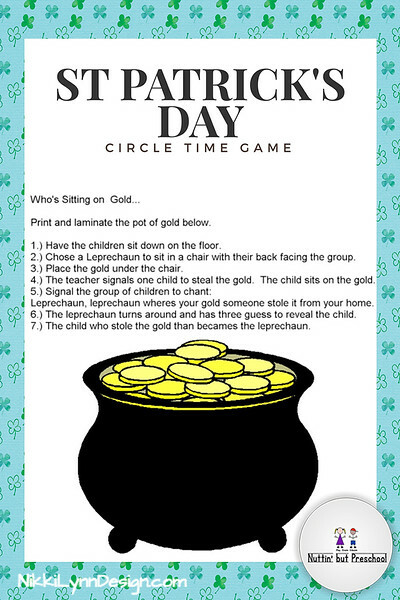 Place each team on one side of a table opposite of each other. Place a colored cotton ball on the table and pretend it is an Easter egg. The object of the game is to blow the egg off the opposing teams side of table. Players can not use their hands in any way. 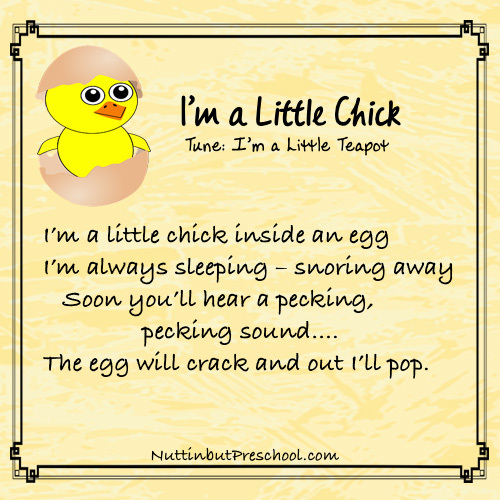 Gather a spoon for each child and plastic or a hard-boiled egg. 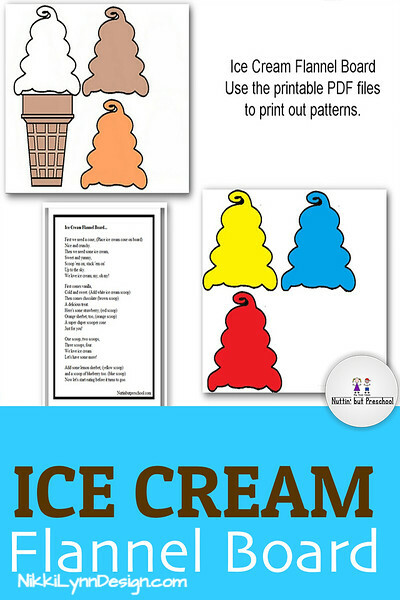 Set up a course throughout the classroom or outdoors. 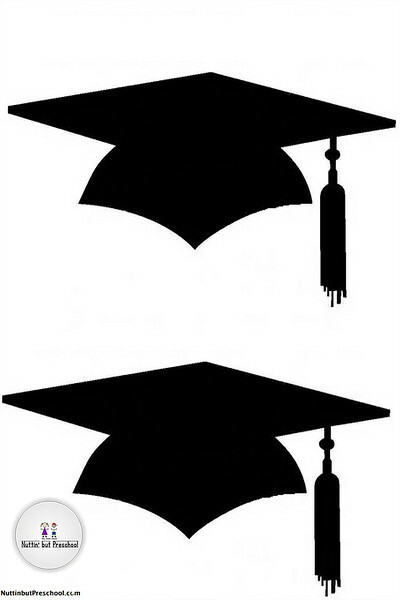 Once a child is part way through the course allow another child to start. Use a piece of rope to hang a basket from the branch of a tree. Fill plastic Easter eggs with popcorn kernels for weight and tape shut. 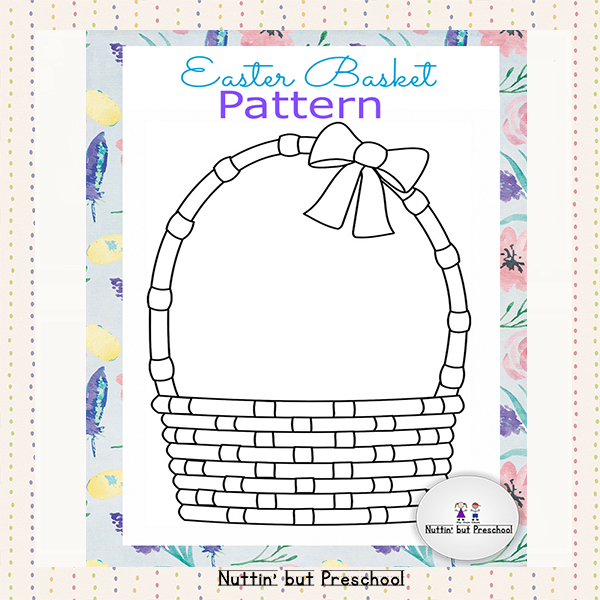 Have the children line up behind the basket, have them practice throwing eggs into the basket. Once the children can do this with ease try swinging the basket. Mark a starting point and a finishing point on a table top. Divide children into two teams. Gather one plastic egg for each team. 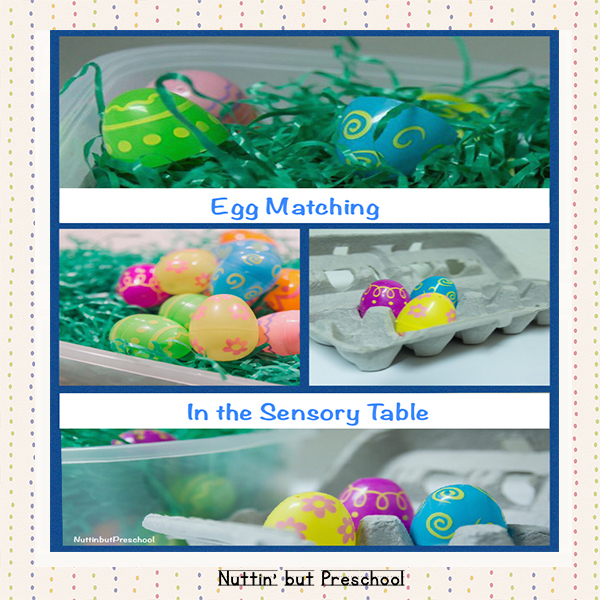 The children must roll the egg using only their noses, use a straw to blow the egg and have them think up additional ways to move the egg without using their hands..
blindfolded all the children with strips of cloth after giving them a treat bag–empty. We (I played too!) were sitting in a circle. After all were blindfolded, they scattered candy in the middle of the circle. When they said “go!” we were to crawl around, feeling for the candy with our hands, and putting it into our bags. It really was fun! No one was hurt (miracle) and most got quite a lot of candy in their bags. We used the children’s large name tags and scattered them around the room. Then we put a filled Easter egg on each tag. 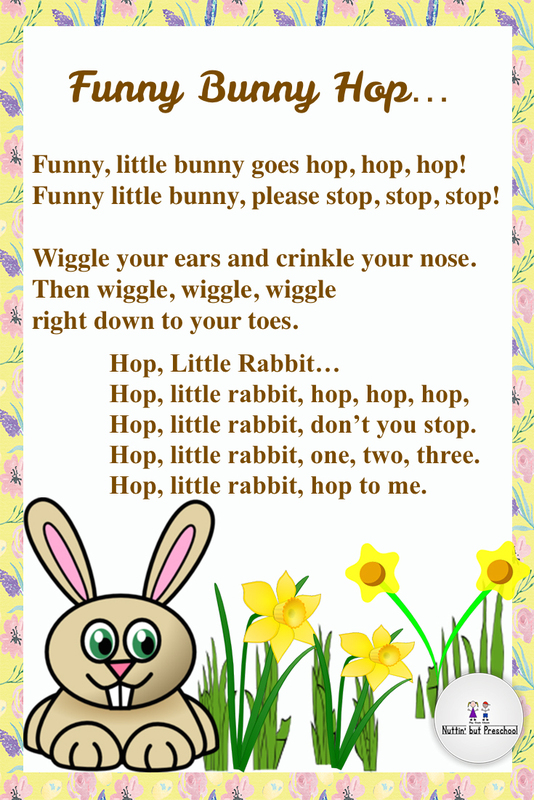 The children had to hop around until they found their name, remove the egg, and then hop back before they could open it. In one class the mother made bunny ears for all the kids to wear when they were hopping. 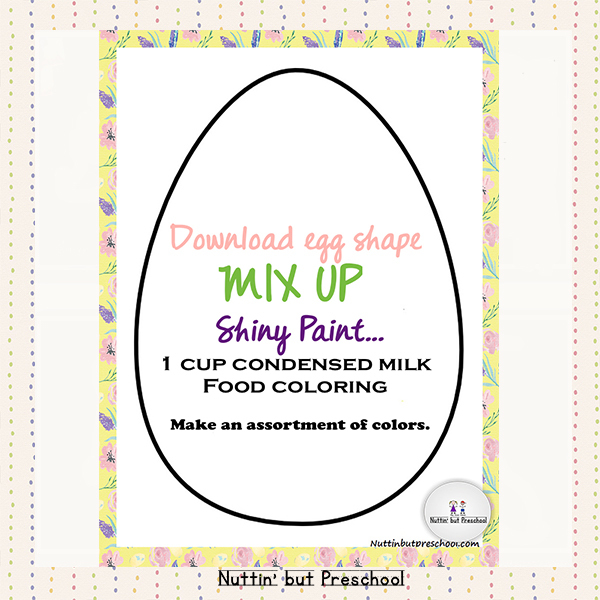 Cut different egg shapes from different colored construction paper. Using markers design simple pictures to make matching pairs on each egg. Have the children match up Easter egg pairs. 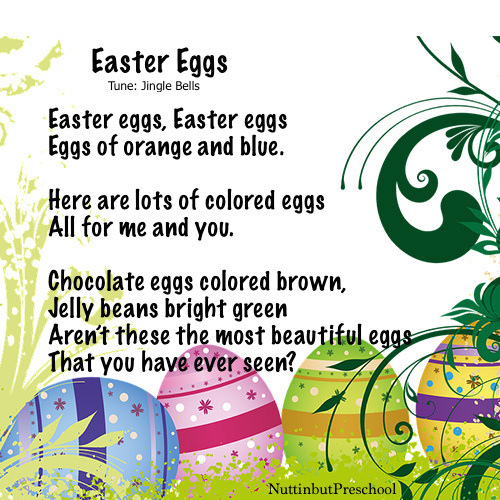 Have children sort plastic eggs by colors into separate baskets. Collect ten baskets, program each with a number 1-10. Cut out 55 eggs (or I have bought small eggs in the craft dept.) 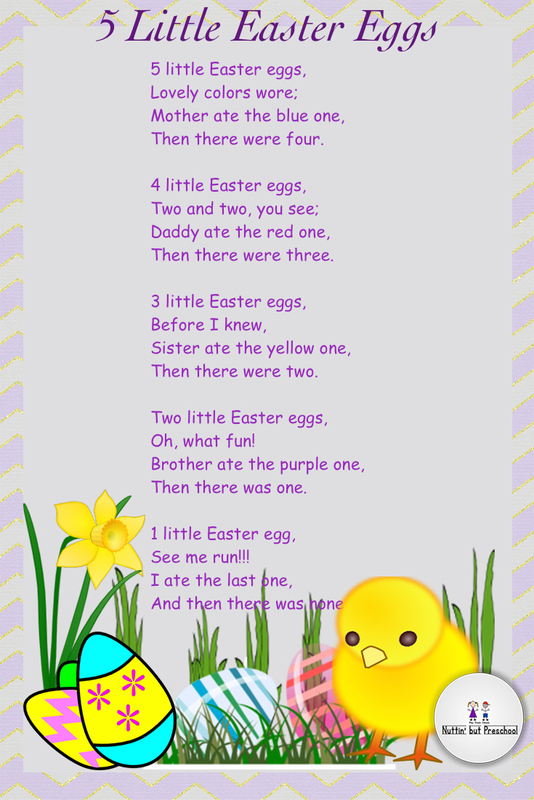 Have children place the corresponding number of eggs into the basket. Using a permanent marker program half a plastic egg with a number (1-10) and the other half with the correct number of corresponding stickers. Have the children match them up. Stock your center with a variety of different pom poms . Arrange pom-pom on one half of an ice cube tray in a pattern. 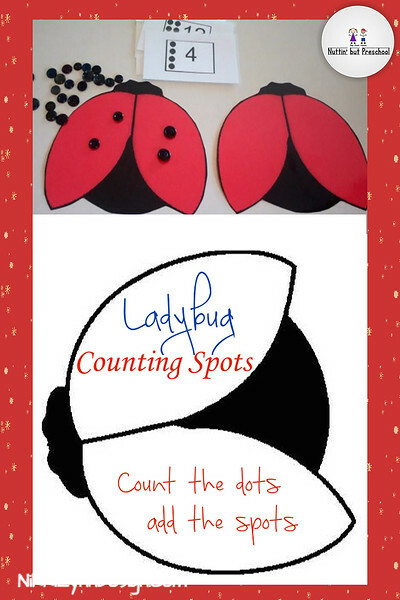 Have the children match your pattern and create their own afterward. Save the broken eggshells from colored Easter eggs. 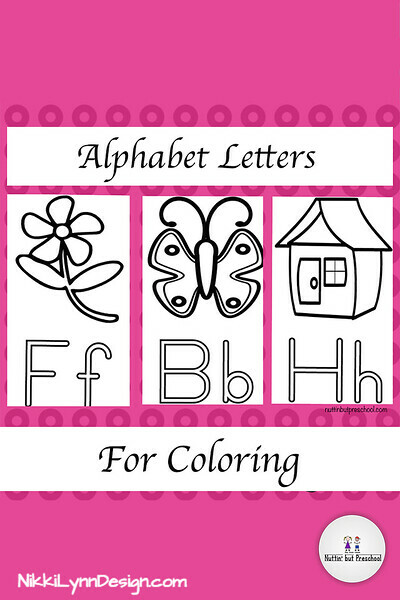 Place them in a bowl on the art table along with colored construction paper and glue. 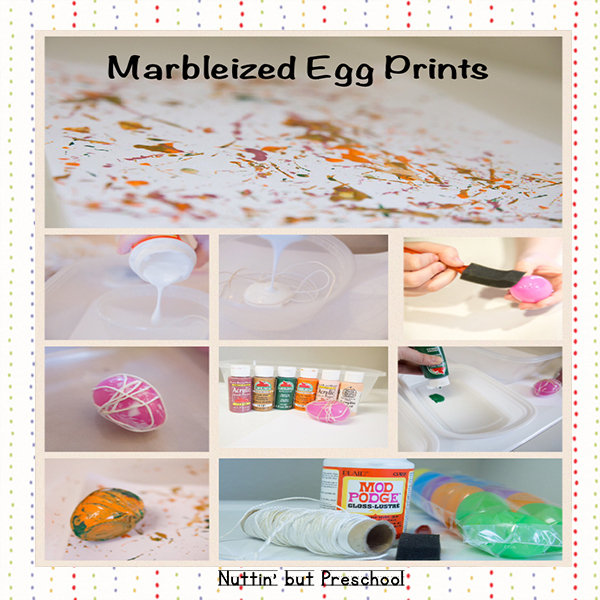 Allow each child to glue eggshells to a piece of construction paper to make Easter pictures. Cut out an egg for each child out of white tag board. Mix together corn syrup (light) and food coloring. Mix together as many different colors as you wish. Have children paint their eggs. Let dry. 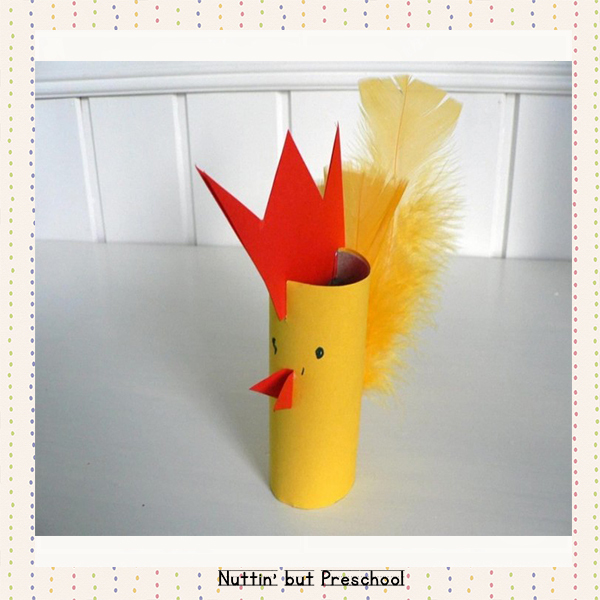 Recycle a cardboard toilet paper tube into an Easter chick (or is he turning into a rooster?)  The supplies you need are minimal, and the end results are just too darn cute! Cut 2/3 off the top of a two-liter bottle. Discard the top portion of the bottle. Punch holes opposite of each other near the rim of the bottle. Attach a long pipe cleaner from one hole to the other to form a handle. Then glue pastel colored tissue paper pieces on the bottle. When the glue dries use puffy paint to personalize the baskets. 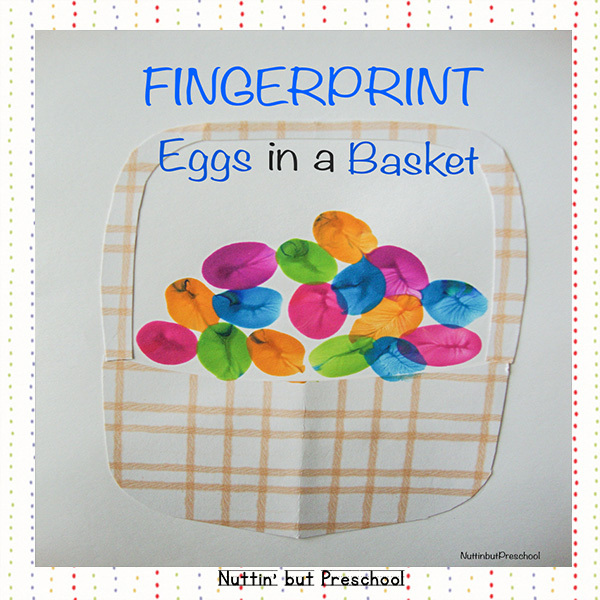 Simple, but extremely cute fingerprint eggs in a basket art project crafted out of wallpaper scraps and finger paint for Easter. Collect a used white sock from each child and stuffed it with stuffing. Glue on ears, nose, and eyes. 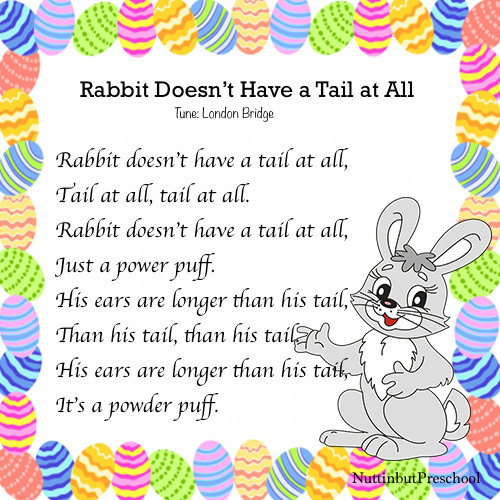 Let the children use permanent pens to make the whiskers. Tie off the end of the sock to make a tail. 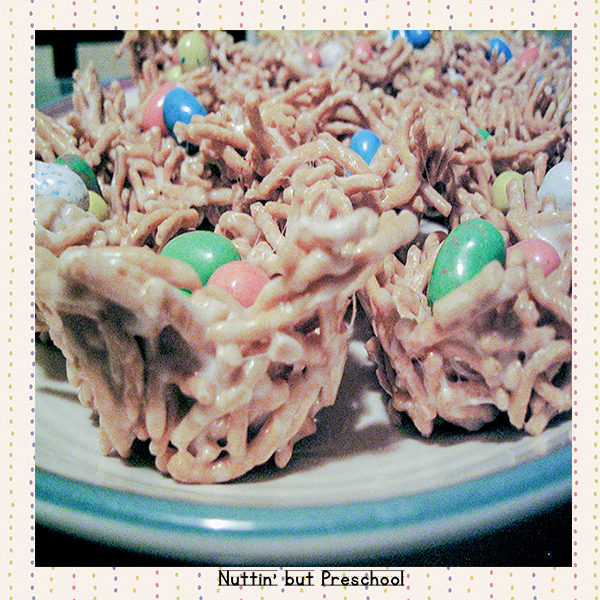 4 ingredients consisting of marshmallows, chow mein noodles, Whoppers Mini-Eggs, and butter make up these cute egg and bird nest snacks.